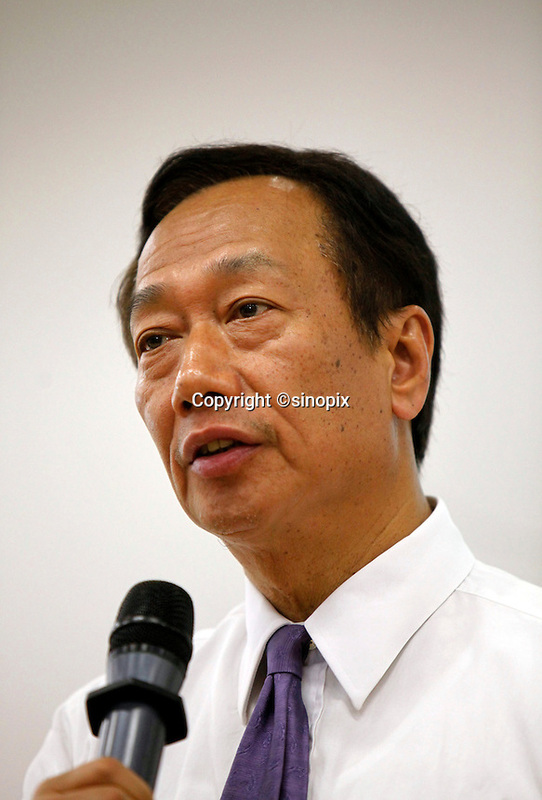 Terry Gou, founder and chairman of Hon Hai Group, speaks during a news conference at the company's Foxconn plant in Shenzhen, China, on Wednesday, May 26, 2010. Hon Hai is the parts supplier for many hi-tech companies around the world including Apple Inc., Hewlett-Packard Co. and Dell Inc. There have been 12 suicides at the company's 300 thousand employee strong factory complex in Shenzhen so far this year.